Não é muito habitual fazer este tipo de posts para o blogue mas esta semana, num tempinho livre que tive, decidi aventurar-me num projeto novo que resultou neste porta-chaves. Isto porque o meu já andava a precisar de uma substituição e, andando à procura de porta-chaves pelas lojas online, apercebi-me de que era tudo demasiado caro. Foi então que me lembrei deste e que percebi que conseguia reproduzi-lo num simples DIY. 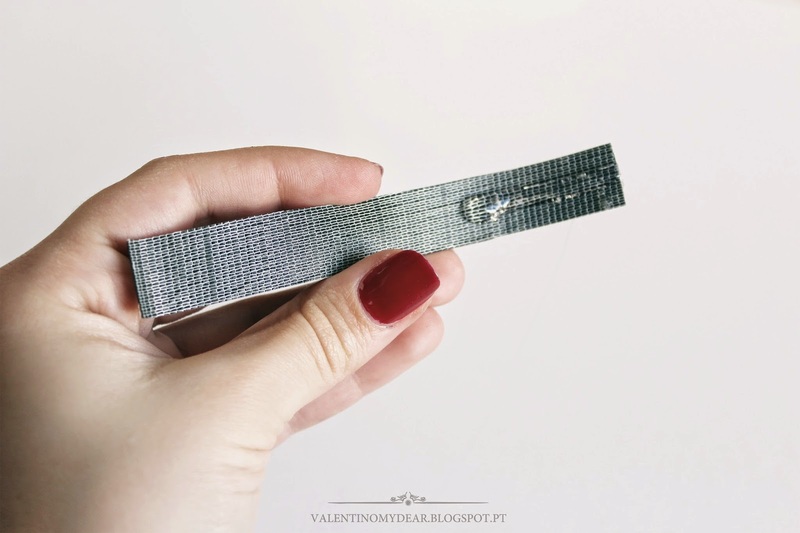 It is not very common this type of posts here on the blog but this week I decided to venture into a new project that resulted in this fringed keychain - my keys were already claiming for a new one. Searching around for the perfect keychain on online stores, I realized that they were all too expensive. It was when I thought about this one's design and knew I could play it in a simples DIY project. Para este projeto irás de precisar de tecido, régua, tesoura, cola quente/cola para tecido, um marcador e uma argola de porta-chaves. 1. Começa por marcar a altura que queres deixar entre as franjas e o topo do porta-chaves. For this project you will need some fabric, a ruler, scissors, hot glue/fabric glue, a marker and a keychain ring. 1. Start by marking the distance you want to leave between the fringes and the top of your keychain. 2. Corta as franjas com a largura que achares ideal. 2. Cut the fringes to the width you like the most. 3. Corta uma tira de tecido com o triplo do comprimento que desejares colocar no topo do porta-chaves e um pouco mais larga do que pretendes. Coloca cola numa das pontas, ocupando 1/3 do seu comprimento e une-as. Ex: se pretenderes que fique com 3cm deves cortar a tira com 9cm de comprimento. Eu optei por 2cm, então cortei-a com 6cm. 3. Cut one strip of fabric with the triple of the length you wish to place on top of the keychain and a little wider than you want it to be. Put some glue on one of the ends, occupying 1/3 of its length and unite them. 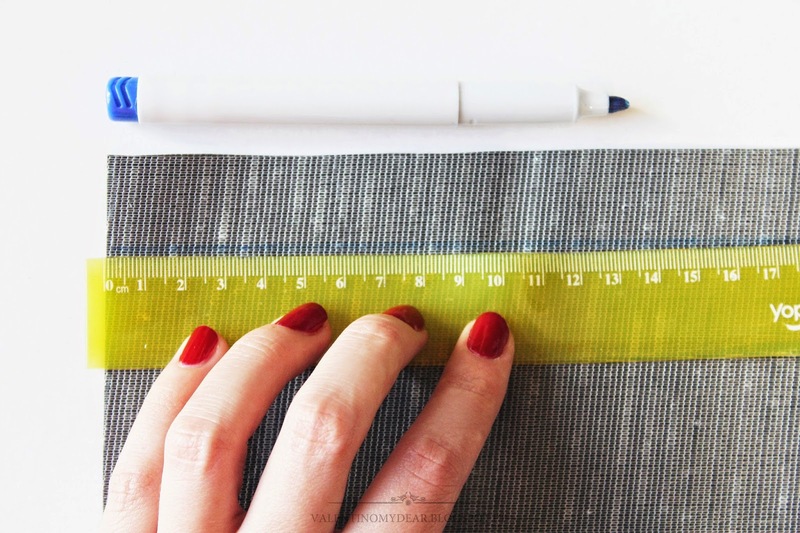 Ie: If you would like to make it with 3cm you should cut the strip with 9cm long. I chose 2cm so I cut it with 6cm. 4. Depois de coladas as pontas, corta a tira com a largura que pretendes que fique no teu porta-chaves. Eu optei pela largura das franjas - 5mm. 4. 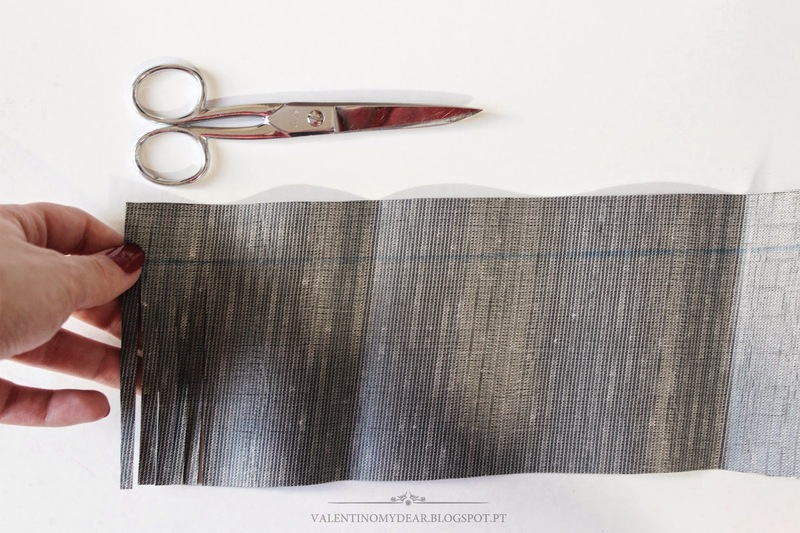 After you glued the ends, cut the strip to the width you want it to have. I opted for the same width of the fringes - 5mm. 5. Cola a tua tira ao tecido - de preferência, na ponta - respeitando a altura que escolheste deixar para o efeito. Vai colocando cola no tecido e enrolando-o à volta da tira - deves ter atenção e fazê-lo devagar para te certificares de que fica tudo compacto e sem espaços abertos em cima. 5. Glue your strip to the fabric respecting the distance you chose to leave for this purpose. Keep putting glue on the fabric and wrapping it around the strip - you should pay attention and do it slowly to make sure that everything is compact and that there are no spaces open up on the top of it. 6. No final o teu porta-chaves deve ter este aspeto. Coloca a argola na tira que fizeste e voilá! 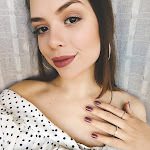 - um porta-chaves simples, rápido de fazer e cheio de franjinhas como dita a moda desta Primavera/Verão! 6. In the end your keychain should look like this. Place the ring on the strip and voilá! - a simple, quick and fringed keychain perfect for this Spring/Summer season!